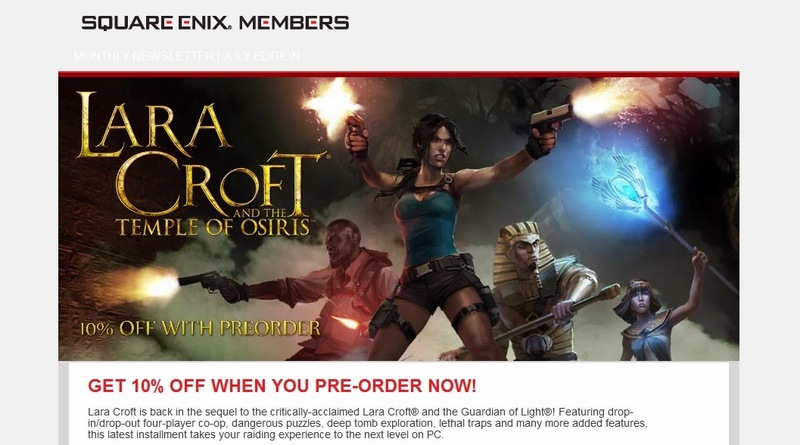 Crystal Dynamics and Square Enix have announced Lara Croft and the Temple of Osiris: Gold Edition, a special package including a download code for the game and exclusive items. 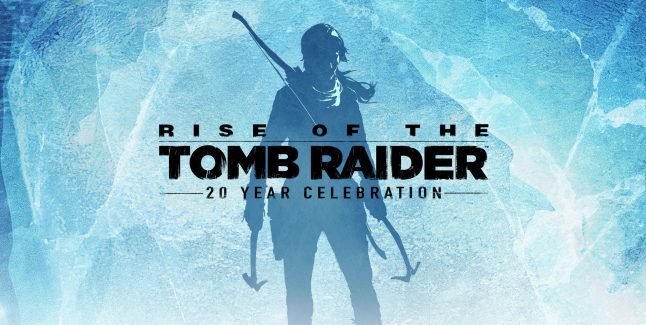 It will be available for $34.99 on Xbox One, PS4 and PC in North America. The European version has only been confirmed for PS4 and PC. Additionally, some retailers have pre-order offers for a 10% discount on the Standard Edition price of $19.99. The game launches December 9th, 2014. 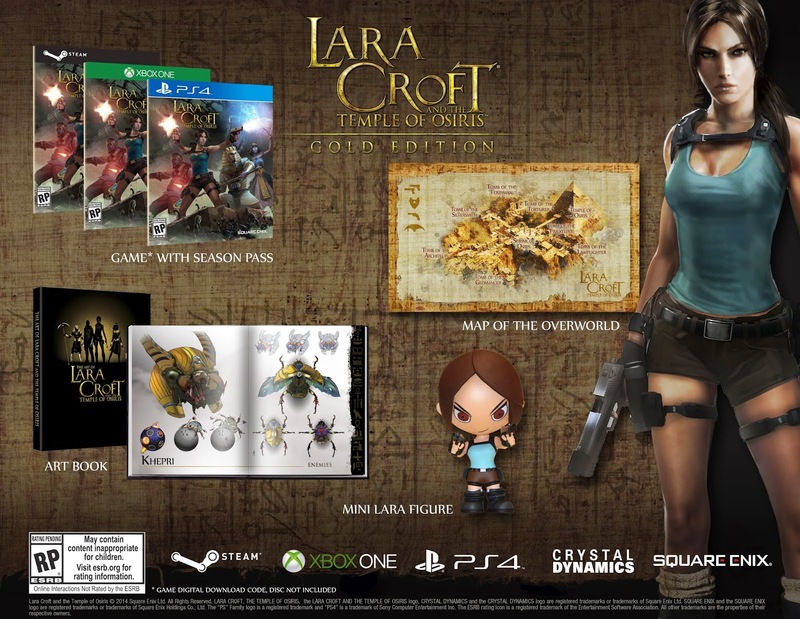 The Gold Edition of Lara Croft and the Temple of Osiris features multiple exclusive items including a 3" Lara figurine, an art book filled with never-before-seen concept art, a folding map of the Overworld, and the Season Pass, will be available at participating North American retailers for Xbox One, PlayStation®4 system, and Windows PC. 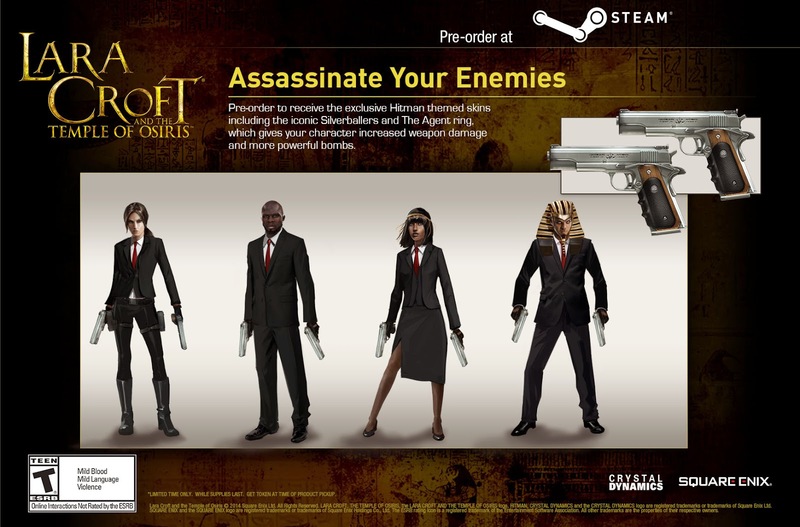 •Assassinate Your Enemies with the Hitman® Pack, available on Steam and from participating digital retailers. Pre-order to receive the exclusive Hitman themed skins including the iconic Silverballers and The Agent ring, which gives your character increased weapon damage and more powerful bombs. 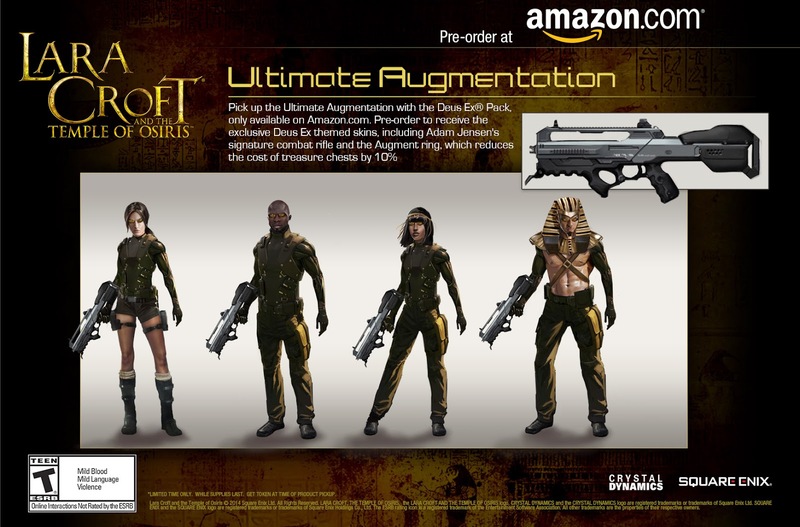 •Pick up the Ultimate Augmentation with the Deus Ex® Pack, only available on Amazon.com. Pre-order to receive the exclusive Deus Ex themed skins, including Adam Jensen's signature combat rifle and the Augment ring, which reduces the cost of treasure chests by 10%. 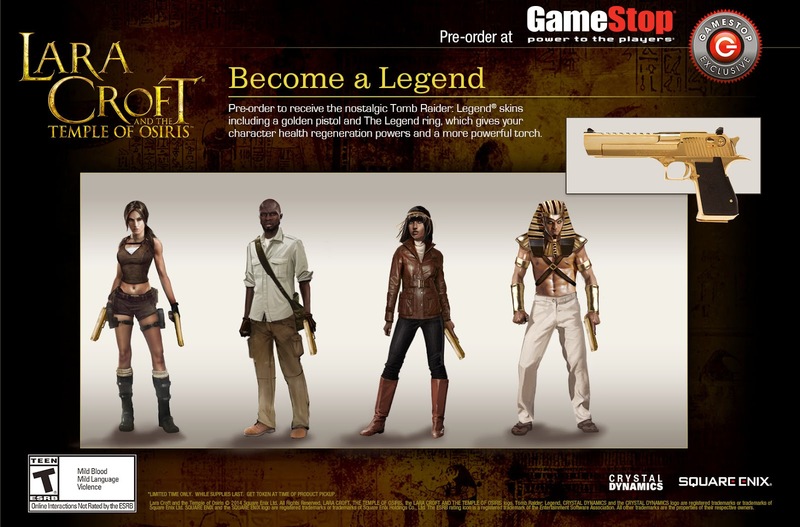 •Become a Legend with the Lara Croft Legend Pack, only available at GameStop. 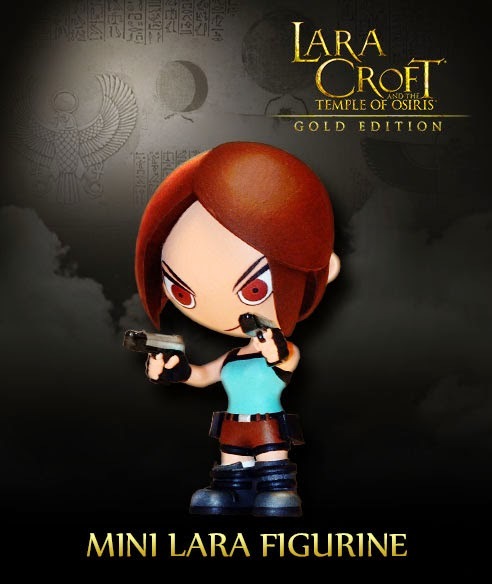 Pre-order to receive the nostalgic Tomb Raider® Legend skins including a golden pistol and The Legend ring, which gives your character health regeneration powers and a more powerful torch. 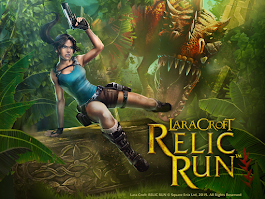 •The Lara Croft and the Temple of Osiris Season Pass is available for purchase and includes all future downloadable content including the Icy Death and Twisted Gears Packs. 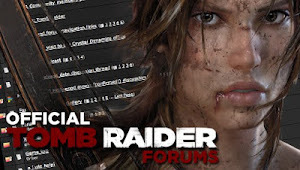 The upcoming DLC Packs offer 6 additional costumes and will challenge Lara, Carter, Horus and Isis to conquer additional tombs and collect a treasure trove of unique rings, amulets and weapons. The Season Pass does not include the pre-order packs. 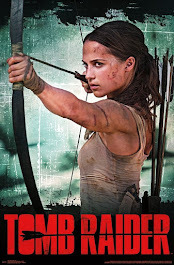 See the Official Tomb Raider Blog for more info.